Geo Sarkiss was born in Europe and moved to the United States in the late 70's. including Flamenco, Latin, Mediterranean, New Age with a subtle hint of contemporary flavor, jazzy elegance and passionate symphonies. 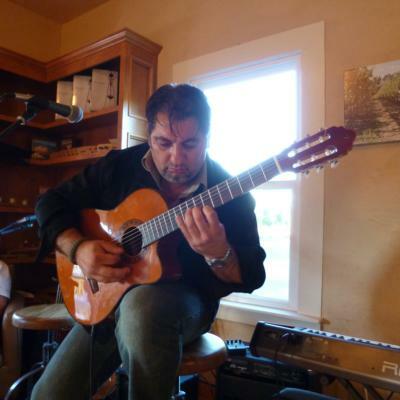 Geo currently performs in Northern California's beautiful Sonoma, Napa Valley. the Culinary Institute of America, Napa Valley Resorts & Restaurants, and several benefits. 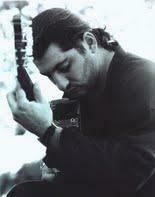 European Latin jazz guitar music comparable to Acoustic Alchemy, Marc Antoine and Ottmer Liebert. A Classical Guitarist that bonds with his instrument by projecting elegance, clarity,extraordinary passion and a pure love for the Guitar. Thank you, for your time, and inquiry. Please note Geo Sarkiss will also travel to South San Francisco, Belmont, Daly City, Brisbane, Oakland, Sausalito, Alameda, Emeryville, Tiburon, Berkeley, San Bruno, Albany, Mill Valley, Pacifica, Piedmont, Richmond, Corte Madera, El Cerrito, Larkspur, Millbrae, San Quentin, Tamal, Burlingame, San Rafael, Canyon, El Sobrante, Greenbrae, Orinda, San Leandro, San Mateo.